Birthday Girl Name Necklace Giveaway! We just can't wait to kick off our 15th birthday celebrations this weekend! Do you share your big day with us? 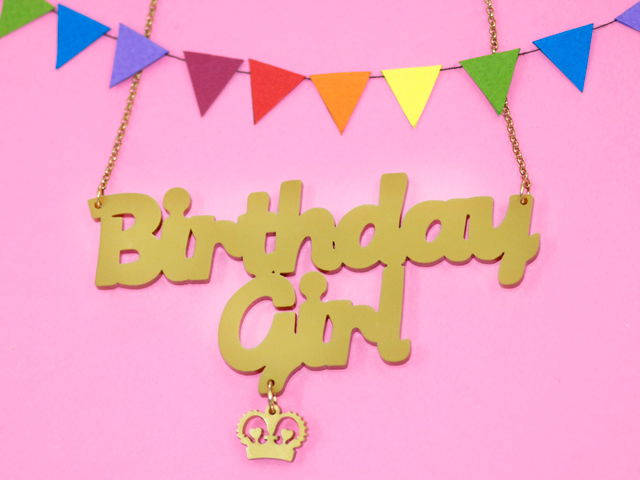 If you’re celebrating your birthday on Saturday 6th or Sunday 7th September, bring any proof-of-age to our Brick Lane or Covent Garden stores and receive a FREE Birthday Girl or Birthday Boy Name Necklace. * From photos of your collection to snaps from our jewellery making workshops, don't forget to join in the fun on Twitter, Facebook and Instagram with the hashtag #TD15!